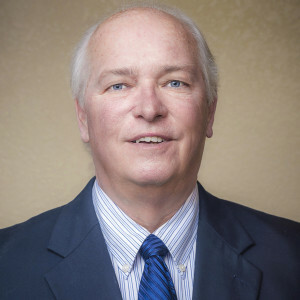 Lee Sasser - Sasser and Weber, P.A. Lee Sasser and his wife, Nancy Weber, have been practicing family law together since 1985, focusing on mediation, collaborative law, and a peaceful resolution for divorcing families. Deeply invested in the local family law community, Lee is the former Chair of the Orange County Bar Association Family Law Section, one of the largest and most active committees of the OCBA. The purpose of the Family Law Committee is to provide attorneys practicing and/or interested in the field of family law a means to further their knowledge in this specialty area and enhance their ability to counsel clients. The committee holds monthly meetings at which accountants, mental health experts, judges, attorneys, and others present information of importance to family law practitioners. Lee is also an inaugural Board Member of the Collaborative Family Law Group of Central Florida and continues to sit on its board. The organization advocates for a non-adversarial divorce process, wherein the divorcing couple and their selected collaborative professional team assist couples in reaching an agreement that aligns with the couple’s goals, without ever entering a courtroom. To that end, the professional team, which includes two collaborative attorneys, a neutral financial professional, and a neutral mental health professional, works with the divorcing couple to minimize the economic and emotional costs of divorce. Lee was an inaugural Board Member of the Central Florida Family Law American Inn of Court, chair of a Florida Bar Grievance Committee and a Board Member of the Citrus Council of Girl Scouts.. He has been listed in Super Lawyers (2008-2012), Best Lawyers in America in Family Law every year since 2008, and Best Lawyers in America in Family Law Mediation, from 2012 through the present.